After a steady build up of attention in their home country and neighbouring nations, Norway’s Spirits of the Dead are finally due to release a UK special edition of their self titled debut album on October 11th through Big Dipper Records. Guitarist Ole Øvstedal and vocalist Ragnar Vikse formed the genre blurring four-piece in 2007, and within a year they were already touring Scandinavia and Europe to critical acclaim. Following success on the road, they recorded their first album live using analogue equipment. It was mastered by George Marino (Led Zeppelin and Jimi Hendrix) giving it a vintage feel. Laden with spidered riffs, soaring vocals, progressive interludes and dream-like melancholy, Spirits of The Dead are unashamedly retro in sound. From the propulsive rhythms of White Lady / Black Rave to the Sabbath-esque doom of the glorious title track, the record basks in authenticity. Influenced by the epic, heavy sounds of Melvins, Dead Meadow and Black Mountain as much as they are their personal masters of the past – Black Sabbath, Led Zeppelin and King Crimson – the band have put together something wholly convincing and water tight. 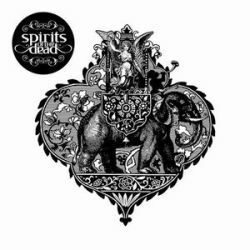 Spirits of The Dead is a well executed and well crafted debut from a band with one eye set on the past and the other fixed firmly forward.